Structural glazing offers architects and individuals opportunities to create original glass designs. The use of unique mechanical fixings can create clean uninterrupted glass structures with minimal or no external framing. Single, laminated or double skin glass can be used depending upon design requirements. Double skin units have maximum insulative properties in line with the latest legislative requirements. Laminated glass adds a further dimension in terms of safety which is particularly useful in roof structures, canopies and atria. Various support structures are used for structural glass screens including aluminium, steel, timber and glass fins. Clear Living is an accredited installer of Hansen Thermospan system, one of Europe’s leading systems, used to bolt glass back to a primary structure. 2 phases to the project. Phase 1 was a frameless structural glass link with ClearGlaze door to link 2 old listed buildings. 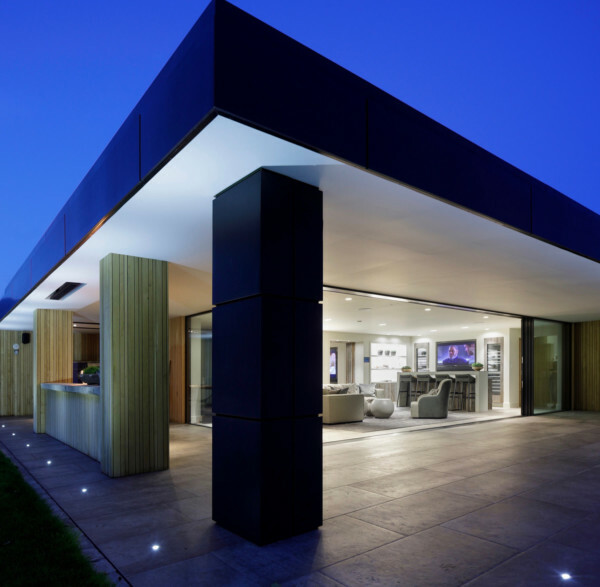 Phase 2 was a structural glass gable with Sky-Frame 2 sliding doors to the returns.